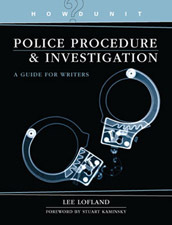 — Lee Lofland, retired homicide detective, blogger, author of Police Procedure and Investigation: A Guide for Writers, and founder of the Writers’ Police Academy. This entry was posted in quotes about writing and tagged Lee Lofland, quotes about writing by Leslie Budewitz. Bookmark the permalink.